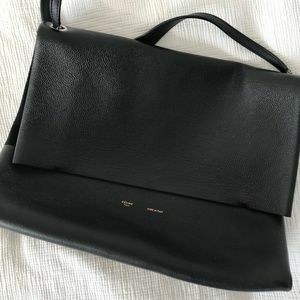 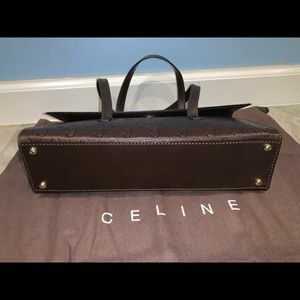 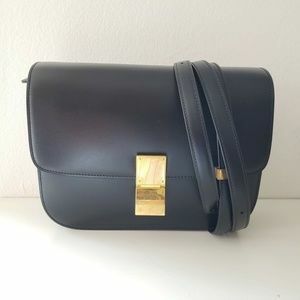 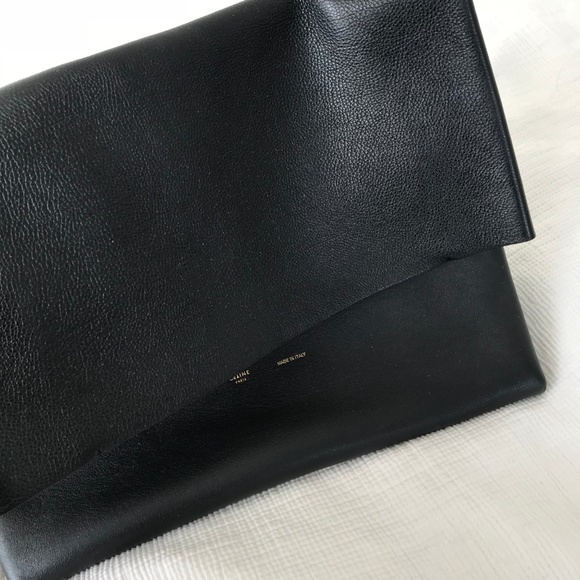 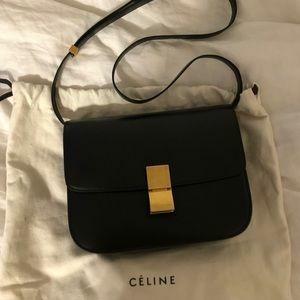 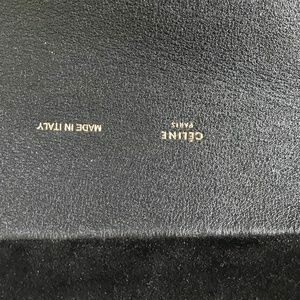 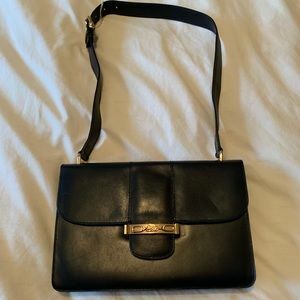 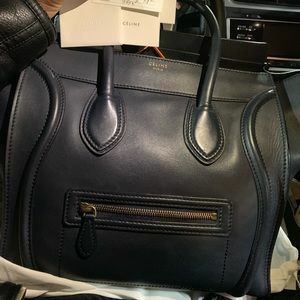 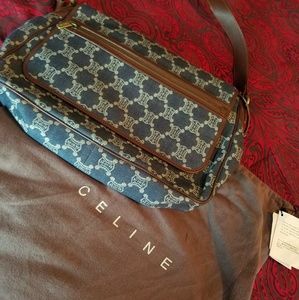 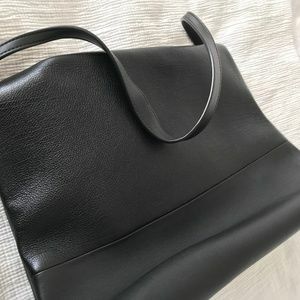 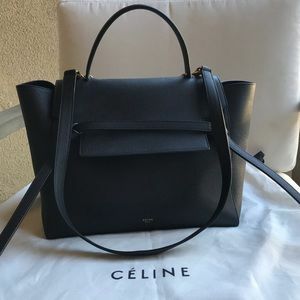 Gently used, all black Celine All Soft Tote Leather. 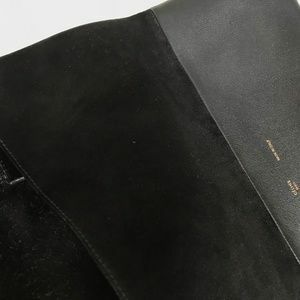 Made in Italy Made of black suede and leather with black leather lining Flap closure secures contents of bag. 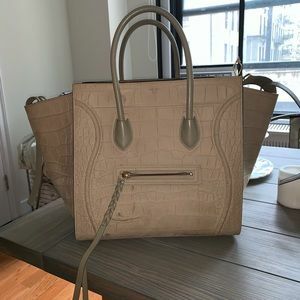 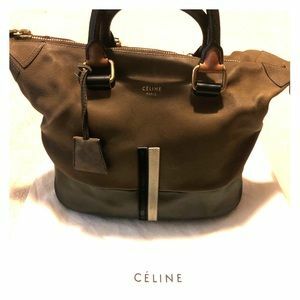 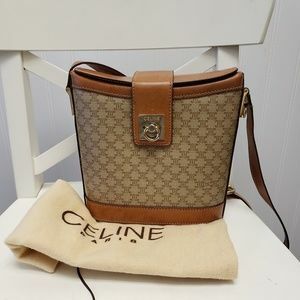 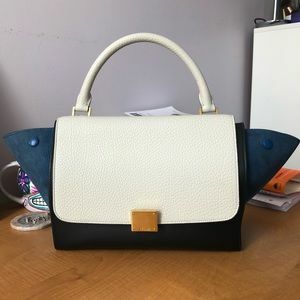 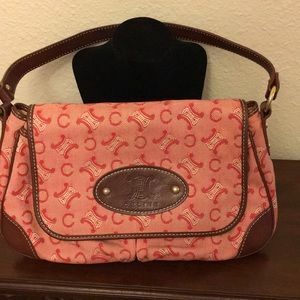 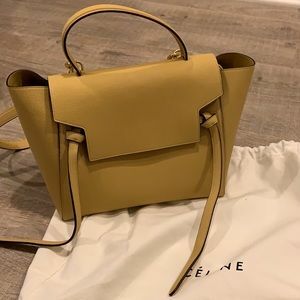 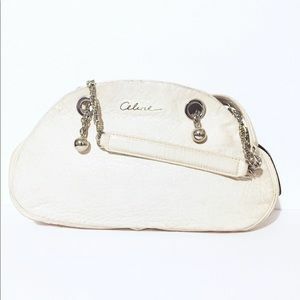 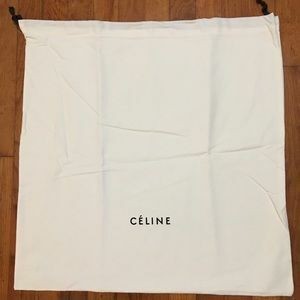 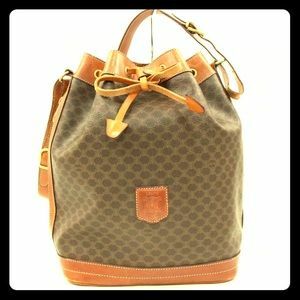 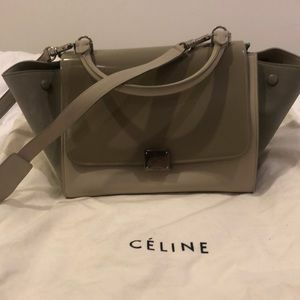 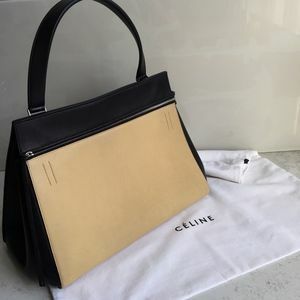 Single leather shoulder strap, subtle stamped Celine logo and silver-tone hardware. 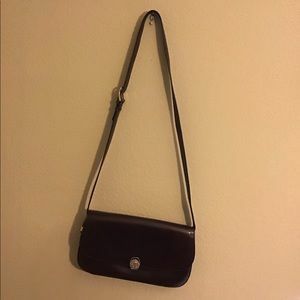 Dimension 16 X 14 X 6.5 with 10" inches handle drop.